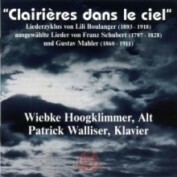 In July 2003 my CD "Clairières dans le ciel" was published with the so named song cycle by Lili Boulanger - transposed for contralto - and with selected songs by Schubert and Mahler, at the piano Patrick Walliser. The Label is THOROFON (order-nr. CTH 2477). 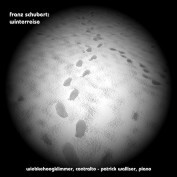 THOROFON is a Label of BELLA MUSICA EDITION, Eisenbahnstr. 30, D-77815 Bühl/Baden, GERMANY. 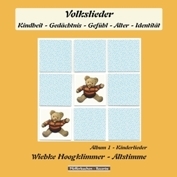 Detailed information you will find here in my preface of the booklet. 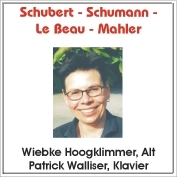 The CD contains live recordings of different Lieder Recitals - recorded by Sony-Professional (analog) (2002). 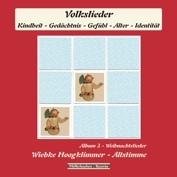 Kinderlieder - Album 1 - "Volkslieder: Kindheit - Gedächtnis - Gefühl - Alter - Identität"
Weihnachtslieder - Album 2 "Volkslieder: Kindheit - Gedächtnis - Gefühl - Alter - Identität"